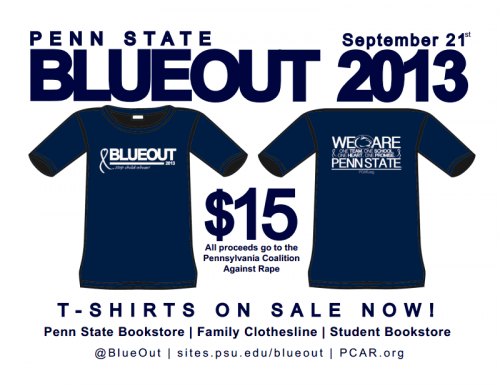 The 2013 Blue Out canning video can be viewed below. 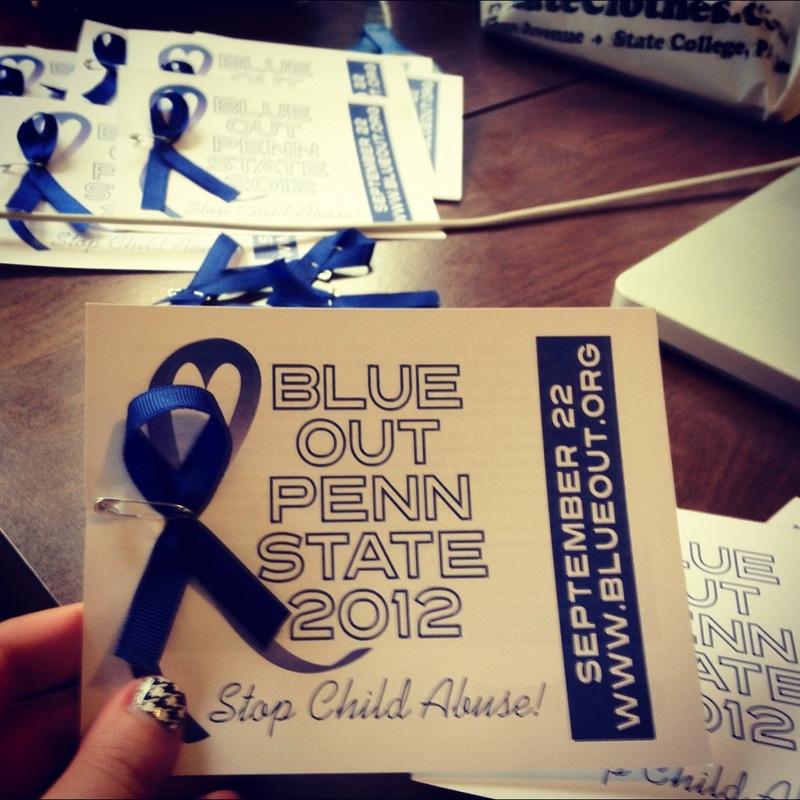 Want to know more about how the blue ribbons became part of our Penn State culture? Read The Story Behind the Blue Ribbons, now up on the Huffington Post. 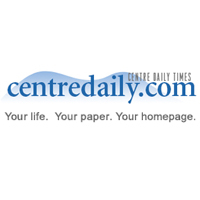 Blue-out organizers revive aid efforts, plan September event, a new article detailing this year’s Blue Out, was published last Saturday in the Centre Daily Times newspaper.